Last week, I wrote a piece here and in Street$marts entitled, Post Crash Behavior Leading to Dow 20,000. If you haven’t read it, I think it’s a worthwhile read (of course I do since I wrote it!) whether you agree with the content or not. Subsequently, I was really excited to join CNBC’s Fast Money to discuss my research. A few things I want to add. I used the word “crash” very liberally in my study. 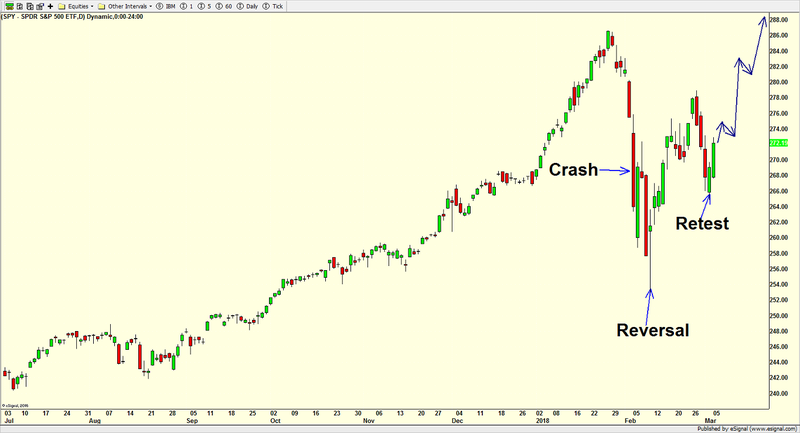 After “bubble”, crash is probably the most overused word in investing. True, historic stock market crashes typically only occur once in an investing lifetime. They are such emotional affairs and require years of setting up. It’s that perfect storm. We saw one in 1929 as well as 1987. The rest are really just large declines that accelerated like a crash. You can call them crashettes or mini crashes. As Mark Twain said a “few” years ago, history rhymes, it doesn’t repeat. No two market environments or rallies or corrections are exactly alike. The market does its best to confound the masses most of the time. I remember in 1998 that the NASDAQ 100 actually went from its August mini crash when Russia defaulted on her debt, straight back to all-time highs in September, only to see another mini crash in October when Long-Term Capital blew up. The masses were generally hopping on board the tech train until the tech wreck hit a few weeks later. 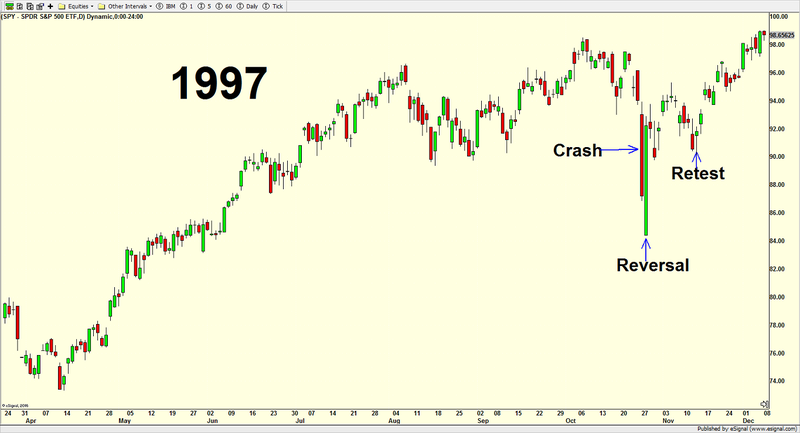 If you look closely at my study, 2011 looks very similar to 1998 and 1987 for the most part, but not exactly. 1989, 1994, 1997 and 2010 are not highly alike although 1989 and 1997 are the most alike of the group. 2015’s price decline is similar to 2010. In the end, it’s much healthier for the stock market to thrash around for 4-6 weeks and test the mettle of both bull and bear. That kind of constructive repair from all the damage done during the decline would set the market up for a potentially powerful fourth quarter rally. I would be very concerned if stocks just took off higher from here without looking back.